So, I was wondering if history would replicate itself again? Where do you see the game being just 12 months down the line? Personally I think over the course of the next 12 months the game will obviously come out of beta and we should see at least two substantial DLCs. I'm hoping first and foremost for properties, somewhere we can call home and perhaps make money i.e Ranches or some version thereof. I'm also hoping for vehicles to be added. Not "war wagons" or anything weaponised, but something I can bring hunting and carry more than one carcass and two birds. It will also give us reasons to invest in proper work horses. I'd love a nice giant Shire but for now, there is little use. We can upgrade wagons from single horse drawn to two and finally four. I hope that when the game finishes "Beta" all issues ranging from cosemtic (stubble!!!!) to kills despawning will be resolved. Lobbies will be sorted; private, free aim etc. I think hotels will open up, or at least wilderness camps, so we can change and save outfits on the fly. Possibly Saloons will become more alive and dare I say it, gambling?? Any thoughts? Can anyone predict the future or will Take 2's greed sink the game? Given how it has been going, maybe we will get an actual useful guide by Rockstar? I imagine having your haul robbed will be a risk they will add but I suppose it depends on what limitations they will put on Invite only sessions similar to GTAO. I can't see them making these lobbies devoid of wildlife but they are sneaky enough to make it that we can't skin/collect parts in these lobbies. Where﻿ did you hear ﻿this from? The only property that has a tagline, "Rugged homeliness in the countryside. ", would suggest these are residential, rather than business properties, which I'm all for. I'm in no hurry to see freeroam businesses introduced. I'm all for strictly residential properties but freeroam biz is #2 on my wishlist after free aim sessions. Exactly, there's only so much heron plumes will get you. Businesses are a must at some point. More important issues to be addressed first obviously, but businesses are inevitable I would think? lol at gatling wagons. Never ever managed someone to kill me with one, only a few tried though. That rockstar Intel site is super annoying with the ads, maybe format the info in the OP next time? Just a friendly suggestion. more that it ruins the feel of the game. GTAO just doesnt have the immersion due to the constant expolsions. just feels like a giant death match. keep that for the multiplayer modes and let the free roam drive the story and immersion factor. If the leaks are true, none of that is very interesting. I wouldn't trust Rockstar Intel as far as I could throw them to be honest. When they're not clickbaiting they're jumping to massive conclusions based on little evidence. I keep seeing people mention free aim lobbies but unless they're also going to be ability card free at the same time I don't see it happening given a free aim lobby would almost completely negate the effects of one of the dead eye cards in regards to pvp. Unless maybe I'm overthinking this? Don't get me wrong though I hope I'm wrong as the more time goes on the more I want to play without auto aim. I think it's true that free aim lobbies won't come at all. There is settings where you can change aiming to free aim. So I don't see the lobby type happening. I think it's better for auto aim and free aim players to play together to increase population. Otherwise, it's GTA free aim and auto aim lobbies separated all over again. I couldn't play with my friends on auto aim. I'll probably switch to free aim once I'm bored. Oh, they are inevitable if the game lives long enough. I'm just in no rush to see RDO turn into something even more grindy than it already is. I've played a R* get rich and own everything sim for 5+ years, RDO doesn't need to turn into a frontier tycoon warlord sim, IMO. Just look at GTAO pre and post 2016. Pre 2016, grinding the same 2 contact missions so you have enough money for an Entity or Adder was grindy, sure. Post 2016, freeroam businesses progressively take grinding to higher levels, add in business cash sinks, further promotes players interacting negatively with one another. Honestly, each to their own, but we know what freeroam businesses will look like, don't we? Buy a building (gold only? ), Upgrade said building for slightly better profits, every so often drive a slow, one mule cart, across 3 states, making 5 drops, all while the entire lobby is alerted to your exact location at all times. I'm all for player choice, if you want to run a moonshine distillery from the swamp, that should be an option, you want to breed horses, that's fine too, but the game needs to have a broader scope than either being broke or being forced into playing as Leviticus Cornwall. There needs to be dynamic money making opportunities, freeroam home, business, train and bank robberies for those who actually want to play as an outlaw rather than a shady businessperson. 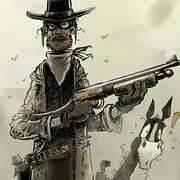 Give players who want to play honourably more things to do as well, hunt down bounties, rescue missions, clear predators from livestock farms etc. Options are everything in a game like RDO, I just don't want to see it go down the GTAO route, most of us have been there, done that. Legend has foretold that we'll get a teaser today for a major update on Thursday. Saw this yesterday, I highly doubt R* are going to blow their load and implement business properties while the game is still in beta. It all came from a Reddit wannabe who also foretold of a Bully 2 teaser that never materialised. I can't believe I went and got PS+ for this game and its in the state its in. Im gonna grind as much as I can till my 3 months expires and I wont be renewing until there is some significant content upgrades. R* can give us an mmorpg style grind, but seem either unwilling or unable to give us the mmorpg style content or progression to go along with said grind. Excellent points. I'm sick of being a shady business person as well. The idea of drawing moonshine or whatever across three states in a donkey wagon gave me real chills. When I started GTAO I gave my character a real backstory but now, he owns a nightclub and an underground arms bunker. He's a proficient pilot both fixed wing and rotary (and flying bikes, cars). It all got far too over the top. I've $120 million and haven't played in 3 months. Money isn't everything if the game isn't fun. I really, really hope RDO doesn't become GTAO just in a different setting. 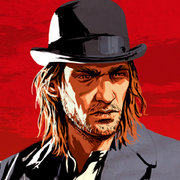 I too want to live the outlaw life in the same way I did in story mode. Robberies, heists, hunting. Build up to a nice ranch, have posse members call round for a drink on the porch. I do think the game should facilitate the type of player who wants to play as the frontier tycoon type, but it shouldn't funnel all players down that path, there should also be viable alternatives. My GTAO experience matches up with yours. I had a backstory for my character, which was completely abandoned because post 2016 you either played as the billionaire warlord psychopath or you got left behind. RDO needs to be, and deserves to be, deeper than "get rich, buy everything, kill everyone". I'm sure it will be regular dollars when it comes in and gold (real life money) for cosmetic upgrades to allow us to gamble.